How important is it for children to honor the elderly? Why? If it is an important value, how can we, as parents, teach that value to our children? Those teachings had to be ingrained into my thinking and behavior as I grew into adulthood, because I wasn’t born knowing how to honor man or God. Every child is different in temperament and personality, even those coming from the same gene pool. Temperament and personality are largely innate, but character can and must be taught. Most of you reading this article would not claim that we live in an age when most people honor their parents, grandparents and civil authorities. We simply don’t live in such a society. And the importance of giving honor to the elderly has not been taught to many people. Respect is different from honor. Respect needs to be earned. But honoring the elderly is commanded by God (Leviticus 19:32). God doesn’t give us permission to dishonor those we don’t respect. The Bible even tells about a righteous archangel who didn’t bring an abusive, condemning accusation against Satan the devil (Jude 1:9). In the Bible, honoring the office or honoring the age of another person is equated with giving honor to God. This article focuses on teaching children to honor their elders, since doing so will establish a lifelong pattern leading to honoring all people. Here are five steps for teaching our children the character habit of honoring their elders. You know the expressions “the apple doesn’t fall far from the tree” and “he is a chip off the old block.” They’re true. Our children mimic our behavior. I recently created a DVD with memorabilia for our granddaughter’s graduation. In it were scenes from childhood where her mom was constantly coaching her on what to say. Obediently, every word was repeated. Children model our behavior. If we as parents don’t set an example of honoring our own parents, grandparents, neighbors and civil authorities, how can we expect our children to learn to do so? Those little ears pick up everything. Do we as parents dishonor each other? The dishonorable words and body language create strong negative memories that saturate their young brains, resulting in negative behaviors that can last a lifetime. Are we parents setting the right example of honoring the elderly? If not, then we can expect the same from our children. 2. Teach honoring as the most important first instruction. You can build a strong moral foundation in your children by constant education from God’s Word. We are commanded to diligently teach them all the time so they will live a long, prosperous life (Deuteronomy 6:2, 7). God doesn’t want children to learn bad behaviors that they will need to overcome as adults. You can build a strong moral foundation in your children by constant education from God’s Word. We are commanded to diligently teach them all the time so they will live a long, prosperous life (Deuteronomy 6:2, 7). The first four commandments are toward God; the last six are toward men. How important is it for our children to learn to honor? The very first of those last six is “honor your father and your mother that your days may be long upon the land which the LORD your God is giving you” (Exodus 20:12, emphasis added throughout). Honoring provides a foundation for your child’s life—honoring parents should lead your child to honor God as he or she matures. Doing this gives them a greater chance of keeping all of God’s commandments. 3. Influence your child’s choice of friends. You are your child’s first and main influence. However, detractors of your teachings are ever present. “Bad company ruins good morals” (1 Corinthians 15:33, English Standard Version). From an early age, wisely guide the selection of your children’s playmates. Take notice of other children’s attitudes toward their own parents and other adults. Don’t allow bad examples from other children to thwart the habit of honoring the elderly that you are working to instill in your offspring. 4. Teach your children to honor all. God tells us to honor all people (1 Peter 2:17). This includes the king or civil authorities, other authority figures (2 Peter 2:10), the spiritually weak (Romans 14:3) and the poor (Leviticus 19:15). Teach your children to be especially aware of widows and the elderly (Acts 6:1; 1 Timothy 5:3; Deuteronomy 28:50). 5. Teach right attitudes and actions toward the elderly. As a young man and throughout high school, I had an early morning paper route that included many elderly couples. Knocking on doors each month to collect the $1.40 for the Great Falls Tribune didn’t take that long until I knocked on the door of—you guessed it—my really old customers. (Of course, they don’t seem so old as I look back now.) They were lonely and wanted to talk as they served lemonade and fed me sugar cookies. The stories were pretty much the same every month. But my parents taught me to honor older folks. So I listened to their stories. Answering respectfully when they speak to you. Depending on where you live, “yes, sir” or “yes, ma’am” or the equivalent might be appropriate. Sending cards to let them know you’re thinking of them. Not only are many elderly people lonely, they also need encouragement. Seeking their advice about their present or former occupation and other life experiences. “The splendor of old men is their gray head” (Proverbs 20:29), with the gray head representing their “wisdom and prudence” (Gill’s Exposition of the Bible). And Proverbs 20:5 tells us, “Counsel in the heart of man is like deep water, but a man of understanding will draw it out.” The elderly have a wealth of experience they can share with younger people. Listening without interruption. Turn off your phones. Give an older person your full attention. Giving small gifts of appreciation on occasion for no reason except to let them know they are special. The elderly have served society for years—they deserve to know they are appreciated. Watch your children as they interact with their elders. 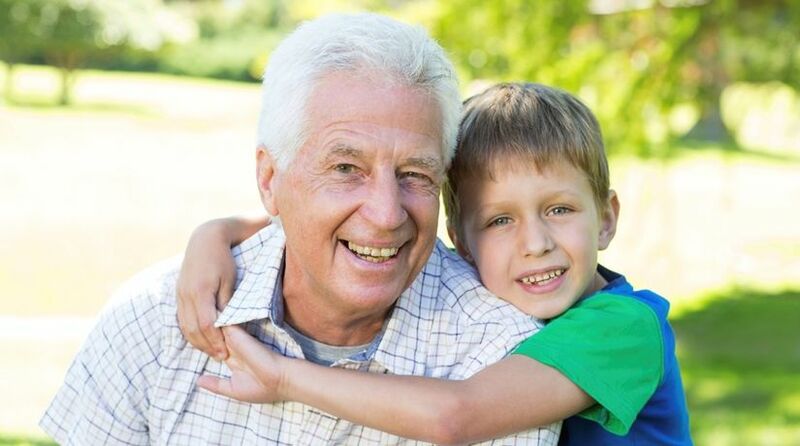 Explain how happy your child can make an elderly person by giving time and encouraging words to him or her. Be positive! If you spend more time teaching your children how to honor, you will need less time correcting them for dishonoring their elders. “Train up a child in the way he should go, and when he is old he will not depart from it” (Proverbs 22:6). Your positive teaching will yield benefits for you and your children in the short term and the long term.